Whether you live in the south like me or you just miss this classic breakfast staple, these cassava flour buttermilk biscuits are sure to hit the spot. Find the grain-free recipe below, complete with a dairy-free, paleo option! Sometimes it’s the simple things in life that make you the happiest… snuggling up with my boys and burying my face in their hair and they smell like sunshine and outside and grass. Mr. Incredible coming home from a long day of work and grinning wide before wrapping his arms around me so I can welcome him home. Enjoying foods you thought you’d never get to enjoy again… yeah, those are the cloth happy is cut from. Biscuits are just one of those things that you never really get over losing… I can eat meat and veggies and the occasional honey-sweetened treat and be pretty satisfied. I don’t even really miss conventional breakfast foods like cereal or poptarts (gross). But biscuits. 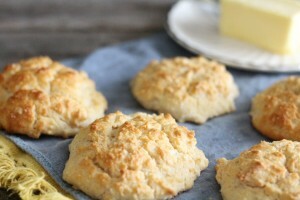 Buttermilk biscuits. I just miss them sometimes. It used to be a regular thing, Mr. 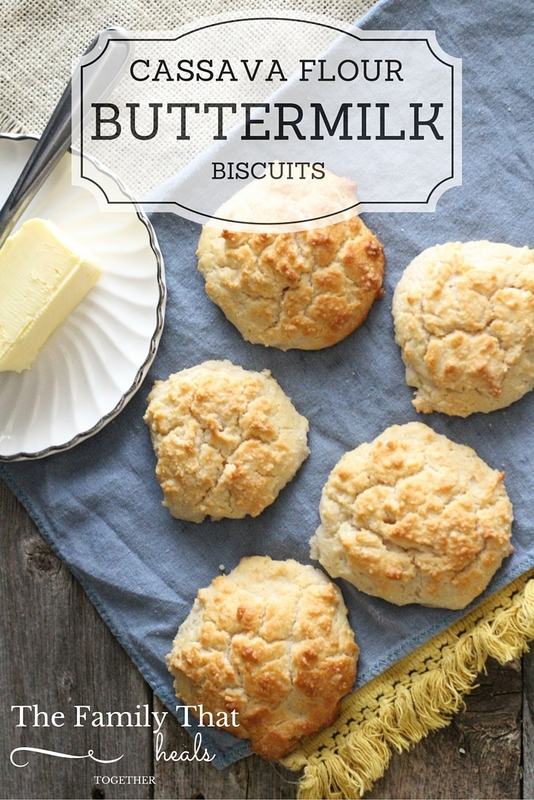 Incredible making old-fashioned buttermilk biscuits on the weekends, but we hadn’t had his buttermilk biscuits in a long time… until this past weekend when I said “hey you should try making your buttermilk biscuit recipe with cassava flour. 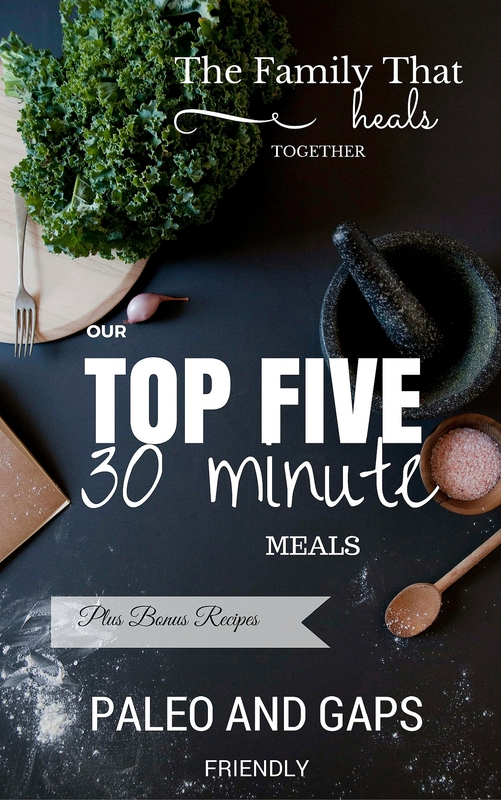 It should sub equally for all purpose flour.” He delighted me by agreeing to give it a try! 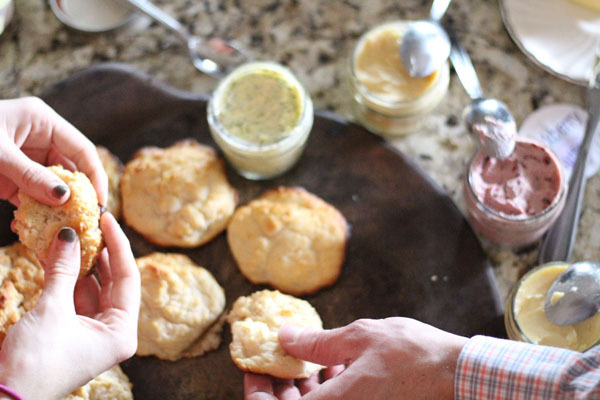 It worked like a dream and we ate real buttermilk biscuits. Cassava flour buttermilk biscuits. Gosh, I love that man and his biscuits. I’m going to have to see what else I can put him to work remaking with cassava flour because he used to bake all the time before I banished gluten from our kitchen. 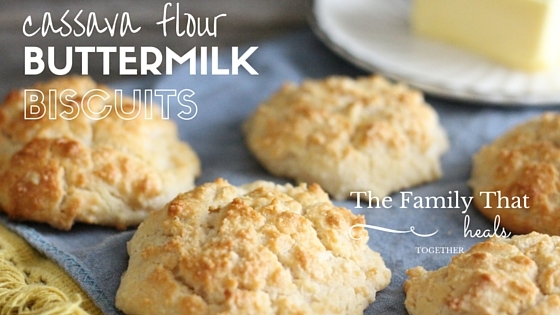 Try out his recipe for grain-free cassava flour buttermilk biscuits below! We even shared with family members who usually eat gluten- and they enjoyed them too! Total win. 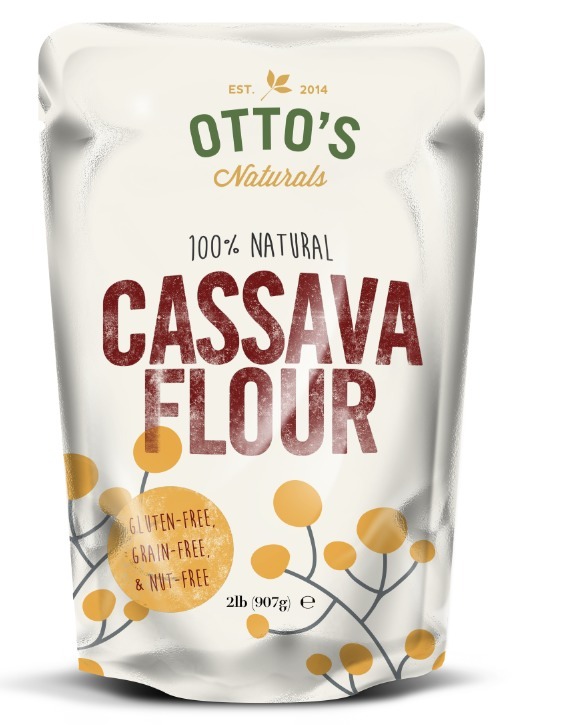 Buy Otto’s cassava flour here. *For dairy-free option, replace buttermilk and half and half with 1 1/2 cups coconut milk, combined with 1 tbsp lemon juice. **Replace butter with ghee, palm shortening, or lard for a dairy-free option. Combine dry ingredients: cassava flour, baking powder, cream of tartar, and salt. Using a pastry cutter, cut in butter until a crumbly dough has formed and there are no chunks of butter left. Add the honey, cream, and buttermilk and mix until combined. Whip the egg whites with a stand mixer or high-powered hand blender until they are thick and fluffy. Using a rubber spatula, fold the whites into the dough until just a streak remains. Don't overmix biscuits or they'll become tough. Using two spoons, scoop large spoonfuls onto a parchment-lined baking sheet, spacing two inches apart. Bake for 18-22 minutes. Remove when the tops have begun to brown. So, did I miss something? Where is the dairy-free option? The recipe has been updated. Thank you for the heads up and sorry for the confusion!